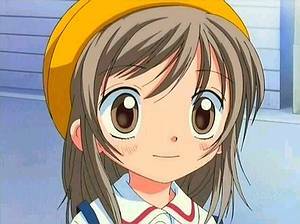 In December 2004, the members and visitors of All Anime World voted for the "Cutest Anime Girl 2004". Collected by email and from forum submissions, our members entered 9 girls into the contest during the first week of December. The only requirements: All girls have to be anime characters and may not have won already. Focusing on cuteness and cuteness alone, 1051 people voted for the Cutest Anime Girl 2004 between Dec 14 and christmas evening. Of these 1051 votes, 1044 votes were given anonymously leaving only 7 (!!) registered members votes. (My vote included!) While the participation of external ("Anonymous") votes was actually better than last years I'm really disappointed of our registered users. Perhaps they don't need posters or they hate Hunter X Hunter. Shame on those of you who were too lazy to do 5 mouse clicks! A "point" equals one vote of an unregistered member. 30 "points" equal a registered members vote. Poor Nemu, I didn't expect her to even fall behind Lime. I checked the script 10 times and cross-checked the contents of the database. I even checked the submission form but there is no mistake: Nemu is surprisingly uncute. Otherwise, the result looks very reasonable. With Yuzuyu leading the top of the list and a convenient distance to me (Akari) on rank 2. A nice christmas present! Yatta! Yay! *hops up and down in joy* There are two reasons: The second season of "To Heart: Remember my Memories" is still airing - but more important, a couple of fans kept voting for Akari nearly every day. Thanks guys! The third place occupied by Mint Blancmanche. I think she could have done better if we had had a few more and better images. 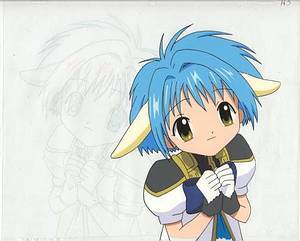 This is now the official accouncement of the winners in our Cutest Anime Girl 2004 contest. We promised to send a "Hunter X Hunter" poster directly imported from Tokyo to one random registered voter who is not bound by COPPA rules. The winner has been elected by a Delphi software we wrote in less than 60 seconds and the poster is going to "giggles" hope she has a good use for it. Congratulations! Thanks for everybody who took the time and voted. We sincerely hope to get your support (and your vote) next year.